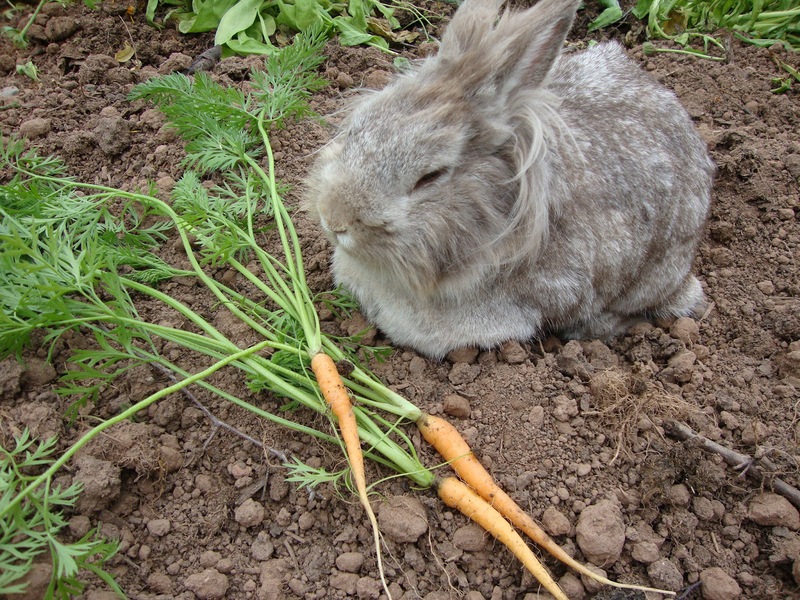 Cottontails Baby: Introducing the Cottontails Price Nibble! 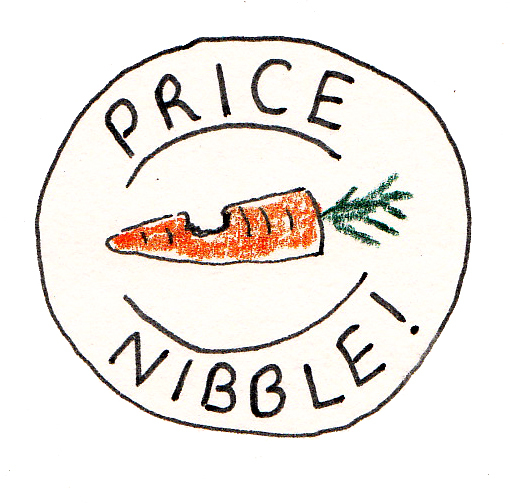 Introducing the Cottontails Price Nibble! Quite simply I have taken a handful of our very best selling toys and taken about 25% off the RRP, therefore ensuring we have the keenest prices around on certain core items, and hopefully enticing some more customers to the website... (where they will fall in love with Cottontails and shop with us for life...). It may be madness (and it does sort of go against the grain for me) but my other half (who is far better at matters commercial than me) promises me it will ultimately make Cottontails far more profitable. 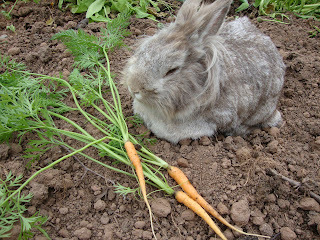 And of course that would mean more of the finest carrots for Humphrey! 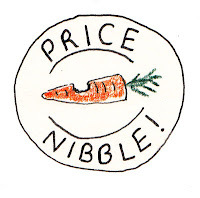 So, when you are browsing through the website, look out for the little nibbled carrot in the Price Nibble logo, and know that you are getting a super-duper price - for example, look at some of the lovely Moulin Roty Grand Family animals. What an adorable photo of Humphrey!